Although currently working in the Tri-Cities area focusing on homes for sale or rent in Kennewick, Richland and Pasco, I grew up in the Greater New Orleans area, just on the Mississippi side. I still have many friends and family in that area, so I keep an eye on the real estate market in New Orleans. I recently touched based with some old friends to provide an update on New Orleans real estate. In 2016 the New Orleans metropolitan area was forecast to be one of the hottest housing markets in the nation. Marketing experts predicted higher prices and an increase in sales and, they were not wrong. According to a report by Realtor.com last year, New Orleans was one of the top ten national real estate markets to be watching in 2016 and true to market trends, home sales activity did increase and single-family home prices rose 6.8 percent in the New Orleans metropolitan area. Growth was centered largely in the city’s historic neighborhoods such as Uptown the Garden District and the old Warehouse District. In the last half of 2016 marketing experts began to see a shift as buyers became more interested in outlying neighborhoods such as Old Metairie, Lakeview and even New Orleans East. This changing trend caused a surge in home prices in those neighborhoods, while sales in the city began to slow down during the last half of 2016. This shift was a reversal of a years-long trend with urban neighborhoods leading the market. The eight-parish metropolitan area saw a 5 percent increase in the average price per-square foot in the last six months of 2016, with St. Bernard showing the highest at a 13.5 percent increase of home sales, Jefferson Parish had an 8.2 increase and St. Tammany saw a 3.6 increase. The report was issued by the New Orleans Metropolitan Association of Realtors (NOMAR) and Real Property Associates. Overall home prices in the city were showing a 2.6 percent increase by the end of 2016. Figures were based on cost per square foot. In comparison, in the last half of 2015 New Orleans home prices spiked 14 percent according to a real estate business report from nola.com. Their report was based on houses rated in average to better condition. 2016 marketing trends show that buyers are moving their home searches to suburban neighborhoods, such as Mandeville and New Orleans East for their affordability and pricing. The shift is causing home prices in the city to surge as they did in the outlying neighborhoods in 2015 and early 2016. Another big plus for home buyers looking to buy in these areas is that mortgage lenders have historically offered lower mortgage interest rates for suburban and New Orleans East neighborhoods since Katrina, however, buyer beware, those rates are set to increase this year. With sales slowing down in city, home buyers who bought homes in these historic neighborhoods in 2015 and paid top of the market prices are feeling the crunch. However, some reports do indicate that theses buyers might still expect their home values to increase at 10 percent a year. Only trends will tell. St. Bernard Parish has seen steady growth over the past decade from the Marigny and Bywater neighborhoods to the 9th Ward and Holy Cross. Prices were up 39 percent with an average of $179,930 or $111 per square foot based on the NOMAR report. St. Bernard Parish saw 165 sales of houses in average to better condition in the last half of the year, up from 148 for the same period in 2015. Construction of new neighborhoods with houses priced between $200,000 and $300,000 is underway. This is after the parish sold off bundles of vacant lots to builders. The neighborhood plays host to several new festivals and cultural events, they have built stronger schools and offer a shorter commute to downtown. All of these amenities have attracted new families. On the east bank of Jefferson Parish, double-digit price gains ranging from 10 to 15 percent were seen in the Metairie 70002 ZIP code which covers its lakefront neighborhoods. Average price for lakefront properties is $343,820. Growth has also been seen in 70003 around Lafreniere Park with the average priced home coming in at $194,375. The Lakeview area of NOLA has also seen solid growth. Lakeview became famous after Hurricane Katrina because of the many videos of flooding seen on national media. After the storm, Lakeview was inundated with property investors who bough up flooded and gutted homes, rebuilt them and put them back on the market. This has provided Lakeview with a fresh inventory of homes for sale at higher price points than before the storm. According to Kathy Marshal, a real estate agent specializing in Lakeview homes, the market there is strong. Year over year sales in Lakeview (March 2017 vs March 2016) has increased over 25% in the 70124 Zip code. Looking at the rolling quarter for the same area, we see sold homes increasing over 4% and pending homes increasing by over 20%. These are all signs that the Lakeview real estate market is poised for a strong summer. Total sales in Jefferson Parish for the last half of the year were down about 4 percent to 2,001 transactions compared to 2,081 in the last half of 2015. The rapid increase of prices in Orleans Parish could be what is driving buyers to want to purchase a home in the outlying markets as they are much more attractive price-wise. In the period from November 2016 to January 2017, only 29 houses over $1 million were sold. This was down from 38 houses for the same period in 2015-16. When the real estate market is slow, we generally see agents get out of the business. When the real estate market is on fire, we see the opposite. We gathered data from Donaldson Educational Services, the largest real estate school in Louisiana, and LREC – the Louisiana Real Estate Commission, on the numbers of newly licensed real estate agents. Although no specific numbers were provided, both claim they have seen a substantial increase in newly licensed agents in the first quarter of 2017 as opposed to 2016. Market observers say to be on the lookout for likely interest rate hikes in 2018 from the Federal Reserve. The hike could be the biggest potential to dampen the market as it decreases homebuyers’ buying power because of the added costs of the financing. Some experts are predicting that interest rates could go as high 5 percent causing buyers to stay put in their current home. 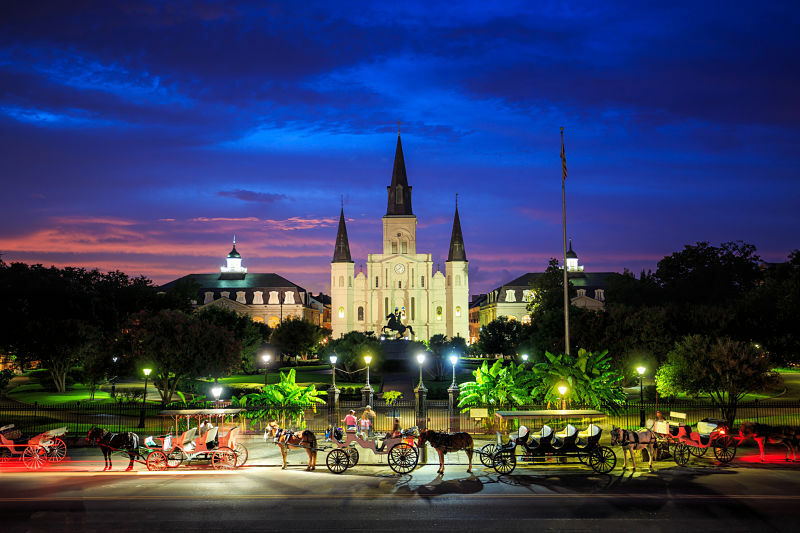 With all that being said most New Orleans real estate marketing experts say that they don’t see a significant slowdown in New Orleans real estate for some time to come. Buyers choosing the city for a second home or place to move for retirement is still going strong. 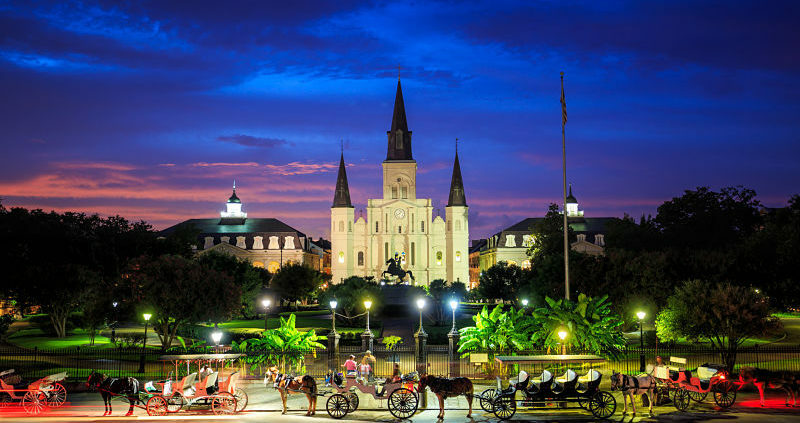 New Orleans is a great destination city and the market prices still look very good to a buyer if they’re coming from a market where housing is a lot more expensive. Copyright 2017. For more information, we welcome your calls or emails to Management 1 Tri-Cities Realty & Property Management at 800-205-M1TC or info@m1tc.com.